Migrants in the city (purhépecha, mazahua, mayo, tojolabal, nahua). 2. 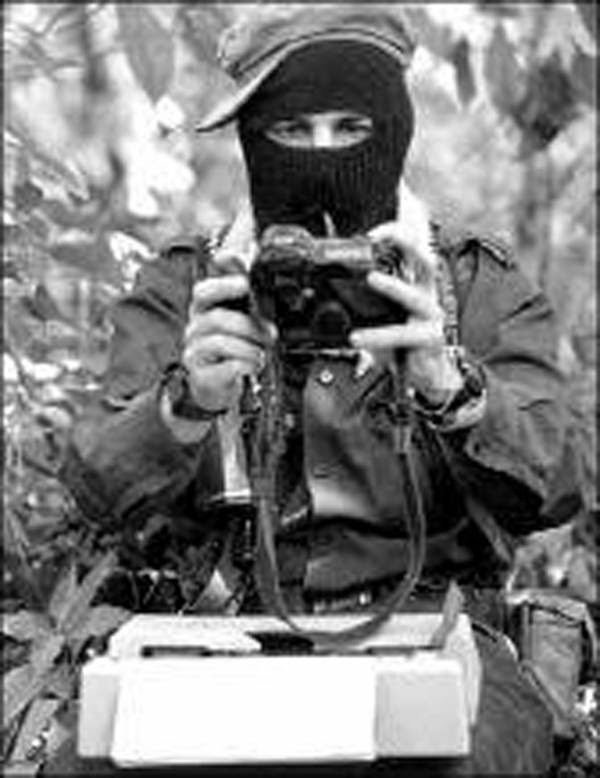 From the Sixth in Mexico: individuals, collectives, groups, and organzations from all 32 federal entities. 4. We remind you that the festival inauguration is Sunday, December 21, 2014, in the community of Ñathó San Francisco Xochicuautla, municipality of Lerma, State of Mexico, Mexico, at 2pm. The sharings will be in San Francisco Xochicuautla and in Amilcingo, municipality of Temoac, Morelos, December 22 and 23, 2014. On December 24, 25, and 26, a Great Cultural Festival will be celebrated in the Federal District in Lienzo Charro, Cabeza de Juárez, Avenida Guelatao #50, Colonia Álvaro Obregón, Delegación Iztapalapa, México, D.F. The sharings will continue on December 28 and 29 in Monclova, municipality of Candelaria, Campeche, Mexico. 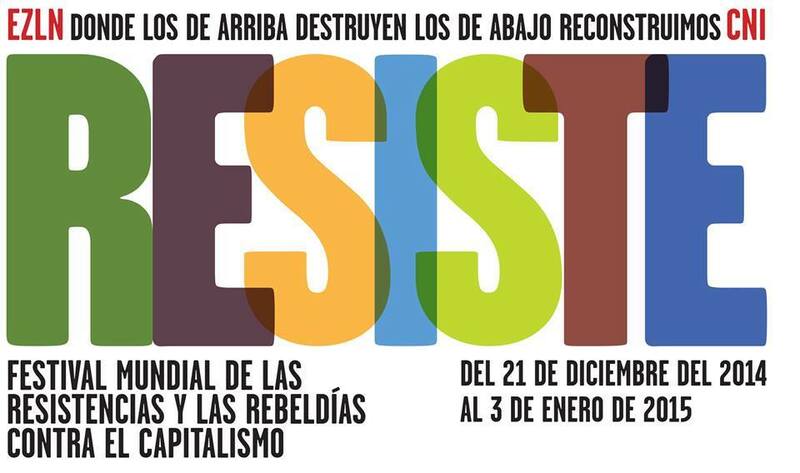 On December 31, 2014 and January 1, 2015, the Fiesta of Anticapitalist Rebellion and Resistance will be in thecaracol of Oventik, Chiapas, were we will be honored to receive everyone. On January 2 and 3, 2015, the plenary session for conclusions, agreements, and declarations will take place at CIDECI, San Cristóbal de Las Casas, Chiapas, Mexico. 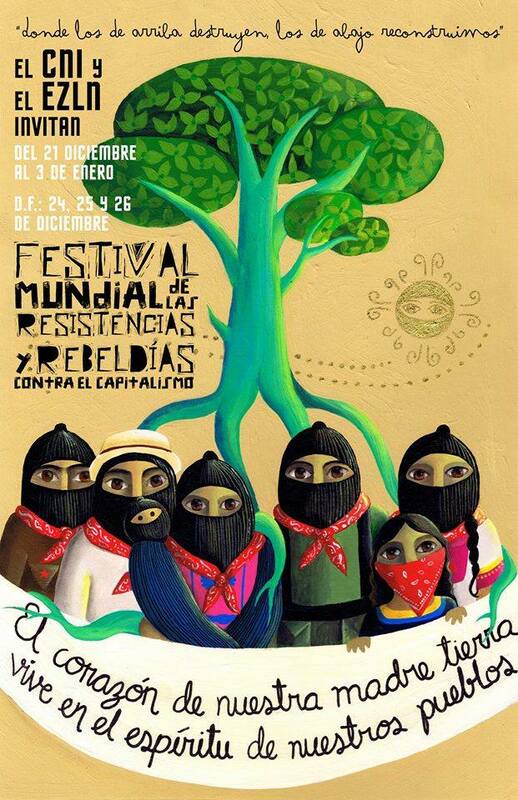 The closing ceremony for the Festival will be on January 3 at CIDECI in San Cristóbal de las Casas, Chiapas, Mexico. Invited delegates can register by writing to the email address: catedratatajuan@gmail.com. To participate in the cultural festival, register by writing to: camparticioncultural@gmail.com. 5. The guests of honor—the relatives and compañeros of the students from Ayotzinapa who we all long for in their absence—have let us know that they will be participating. That means all of us will have the opportunity to listen to them. 6. Finally, we want to let you know that our delegates are ready to participate with an attentive and respectful ear. We will attend with our faces uncovered so that we cannot be identified. Or better yet, so that we can be identified as just one among many of our compañeros and compañeroas of the Sixth. The text uses “todas, todos, todoas” to give a range of possible plural gendered pronouns including male, female, transgender and others.